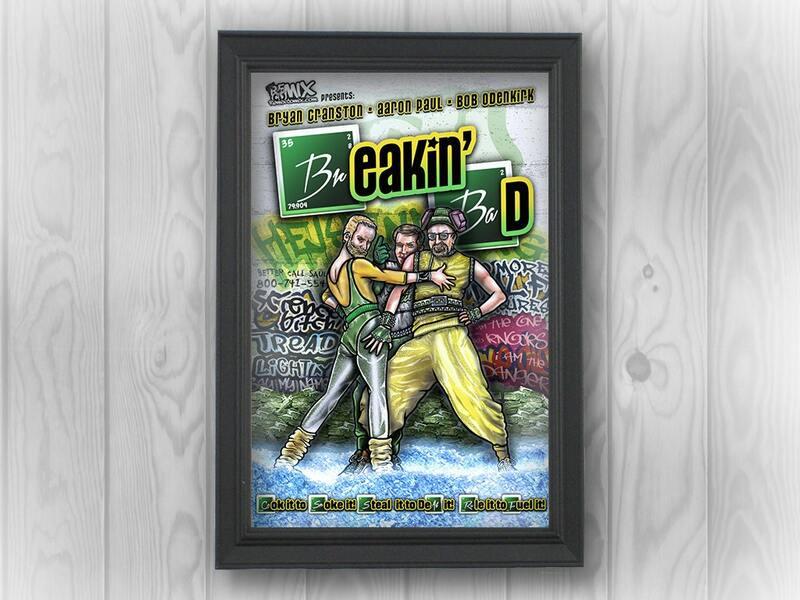 This Remixed poster is based on Breaking Bad, one of the most popular shows on television in the past decade - and Breakin', the cheesy movie franchise from the 80's about break dancing, terrible fashion, and friendship! 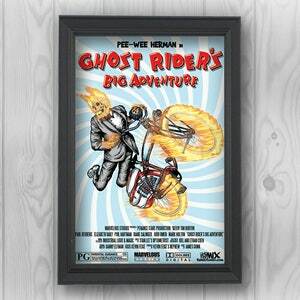 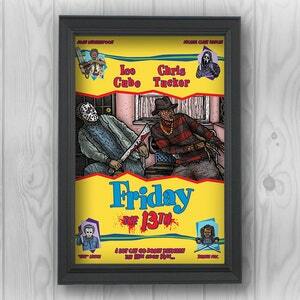 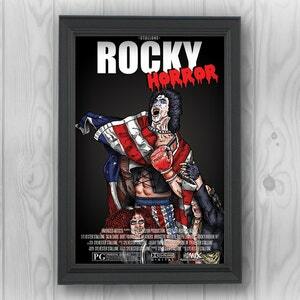 This poster is printed on glossy photo stock with archival-grade pigment ink. 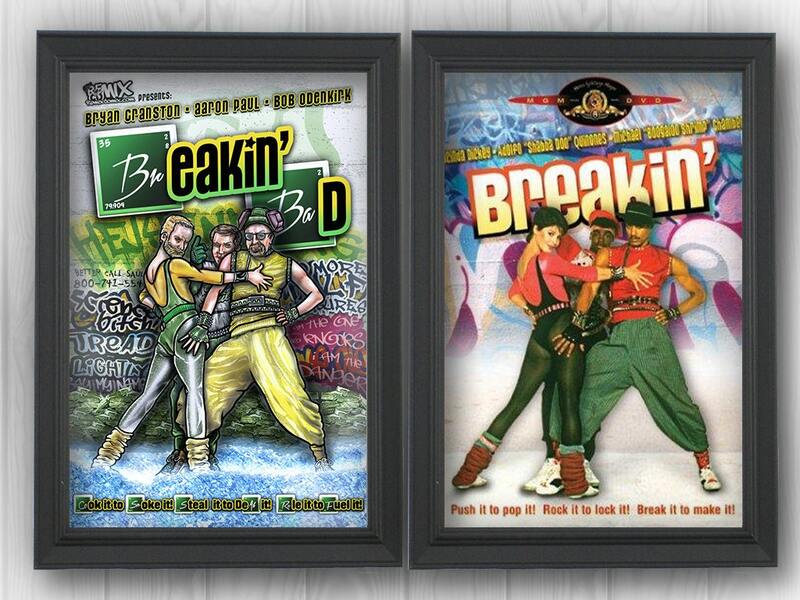 The reference photo for the Breakin' movie is shown for comparison.